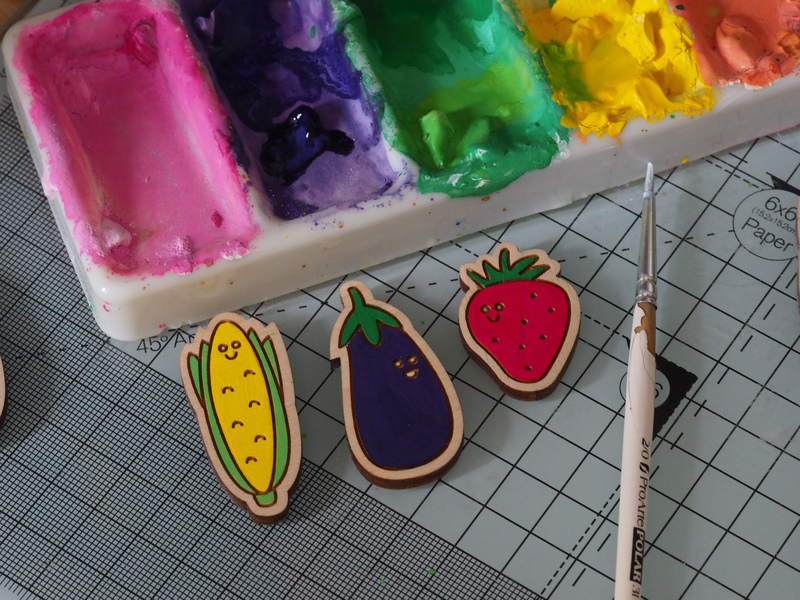 Meet our Fruit & Veggie Friends! 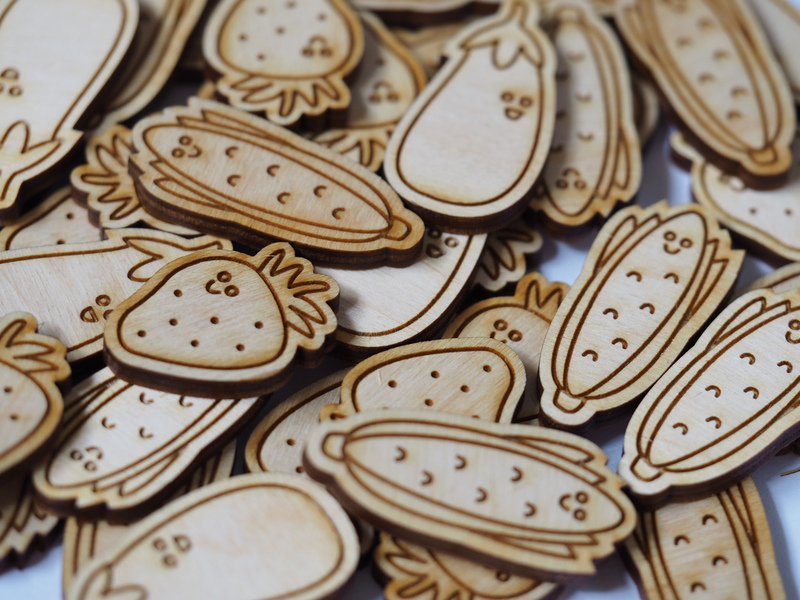 A range of limited edition wooden badges or magnets designed & created in collaboration with Brighton artist Rockcakes. 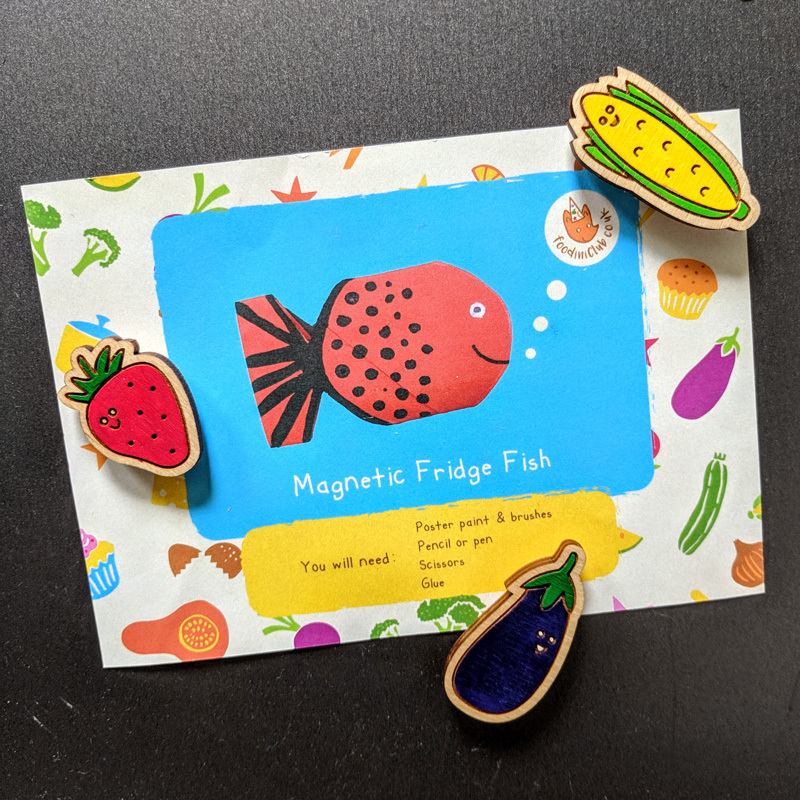 £1 from the sale of each friend goes to the charity Plastic Oceans who are helping clean up our seas! 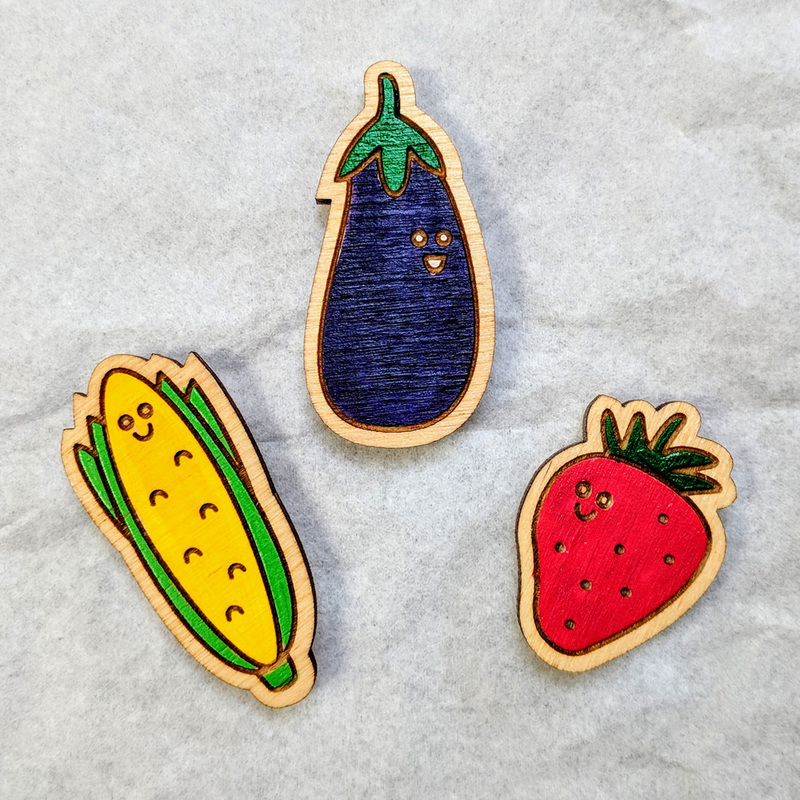 The perfect addition to any bag, coat or t-shirt, these limited edition collectable wooden Foodini Club friends aim to further inspire a love of Fruit and Veg in whoever wears them! Sustainable Birch wood laser cut in Brighton and hand-painted by Rockcakes before being mounted on a piece of card from a Foodini Club recipe card. Every sale of our wooden friends raises money for charity – Plastic Oceans is working hard to find ways to clean up our seas & oceans – a cause we really care about. 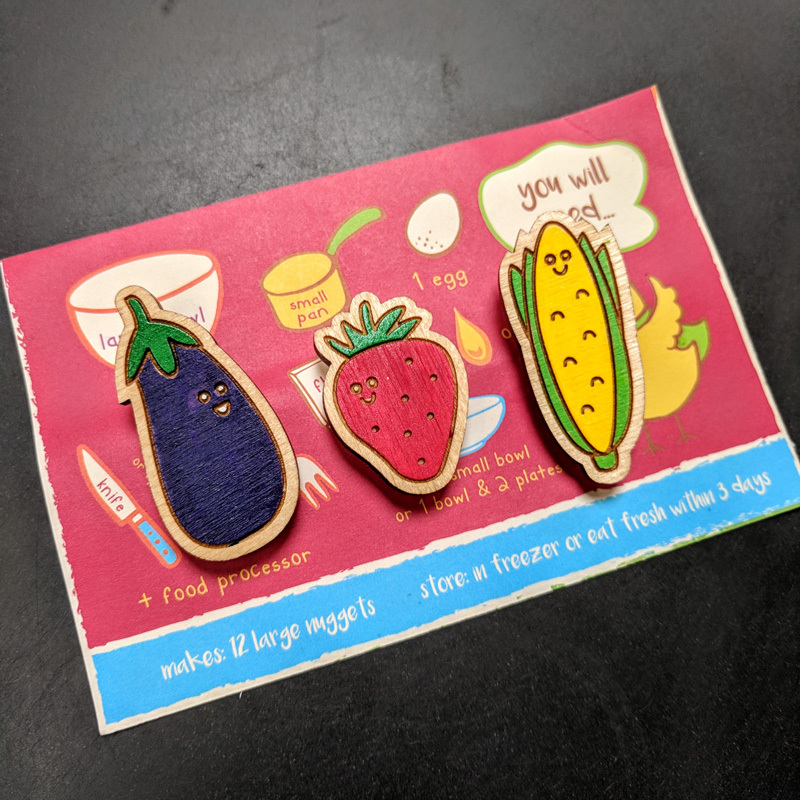 £1 from each item sold will be going to support them! Grab them while they last – only a limited number in stock!